Break free from reality and take a scenic cruise along Fabulous Hwy 33 for a short drive from Ojai to Rose Valley Campground and Day Use Area. Whether you’re Day-Tripping or Camping, you can explore the running creek, the water falls, take a dip and/or hike the nearby trails. Wildlife, flowers, and shady areas under cottonwood trees, perfect for a rejuvenating nap, welcome you. Removed just far enough from civilization, the night sky here is fantastic, especially when viewing North, a perfect place to view meteor showers, satellites, comets and other celestial phenomenon. Rose Valley Campground has nine fully accessible sites each with a picnic table, fire ring and pedestal grill. There is one single-seat vault toilet with a 1,000 gallon vault. There are six bear-proof trash cans for garbage collection. No drinking water is available. All roads are paved. Rose Valley Creek flows adjacent to the campground. with a picnic table, firepit and/or a separate BBQ. There are enclosed trash receptacles around the park and an unlit single pit style toilet. There is no drinking water at this site. You must bring your own water. The principal attraction to this section of the Sespe is Rose Valley Falls. This trail to the falls begins at the southwest area of the campground between Campsites 4 and 5. Follow it for a short 1/2 mile and you will be at the base of the falls. The cliffs at the falls are arkosic sandstone and crumble easily, so tread lightly. Rose Valley Falls is the tallest waterfall in the range and while it is an easy hike to the base of the 100-foot tall lower tier of the waterfall (0.8 miles round trip with 150 feet of elevation gain), it is adventure to reach the more impressive upper tier. Please do not climb around on steep sections or get close to the edge. 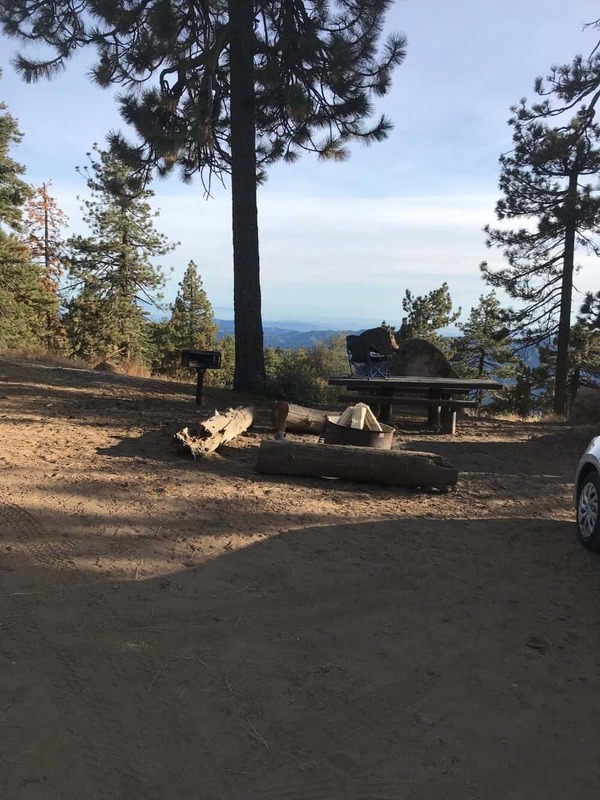 If you are not camping, you will need to park outside of the campground to hike the trails, or the Day Use Fee for parking in the campground is $10.00. Campground is a "Campfire Use Site." Campfires are normally permitted year around without a California Campfire Use Permit. Under some conditions, wood fires and barbecues may be prohibited in all areas of the national forest. Fires at Campground are only permitted in fire rings provided by the Forest Service.